For all those reading this and have no clue what “KADHI” is—it is simply a yoghurt based gravy dish that is thickened with chick pea flour and tempered and then simmered with some exotic Indian spices. 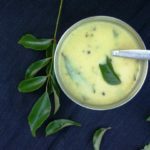 Kadhi! 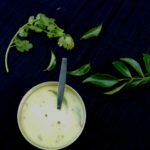 – Every region in India has their own way of preparing kadhi – you get Punjabi kadhi, Rajasthani kadhi, Mahrashran kadhi and Gujarati kadhi. 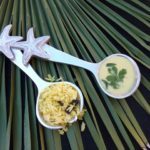 Kadhi is a really unusual combination of ingredients and flavors – but then like all other Indian dishes – it packs in immense flavor and more often than not has nutritional benefits as well. Kadhi!-This very traditional Gujarati dish-is prepared with a clever combination of spices, yoghurt/sour milk/buttermilk and chick pea flour. 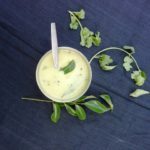 Gujarati kadhi is one of the best recipes of Gujarati cuisine and the authentic recipe is a combination of flavours, spices and etc. 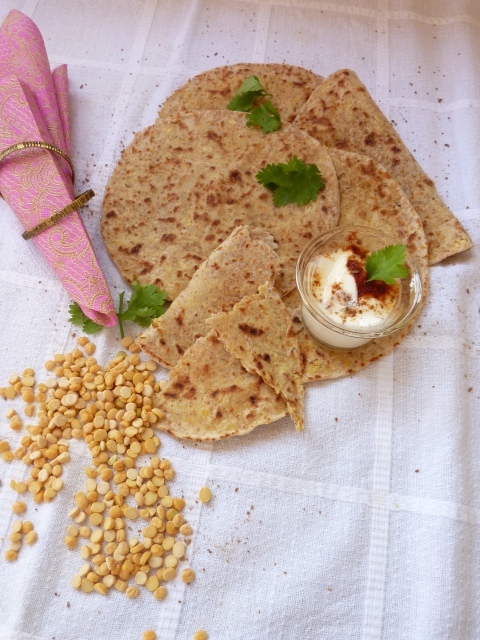 put together centuries ago by someone with a vast knowledge of cooking with Gujarati spices. 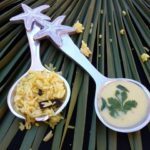 The Gujarati kadhi uses less chick pea flour, a careful blend of spices and the trade mark sweet and sour taste with a relatively thinner consistency compared to its counterparts from around the country. In Uttar Pradesh pakoras, or vegetarian koftas (made with a mixture of minced beans lentils), or a variety suitable steamed veggies are also sometimes added to the kadhi-to enhance the already flavorful kadhi and it is generally served with rice or roti. For me the Gujarati Kadhi is at its very best when served with Kichdi (rice (only basmati) cooked with split green lentils) and alloo (potato) fry. 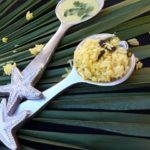 Kadhi and Kichdi is a very popular combination of amongst the villagers of Gujarat and I can assure you this humble meal and its flavors will tantalize your taste buds.